SHANNON LAKES- Beautiful 3 Bedroom, 2 Bath Custom Brick Ranch In Desirable Perry Township Neighborhood. Remodeled Eat-In Kitchen Boasts New Quartz Counter Tops, New Appliances, & Gorgeous Tile Backsplash. The Master Bedroom Features Vaulted Ceilings & A Master Bathroom w Dual Sinks, Garden Jacuzzi Tub, & New Walk-In Tile Shower. 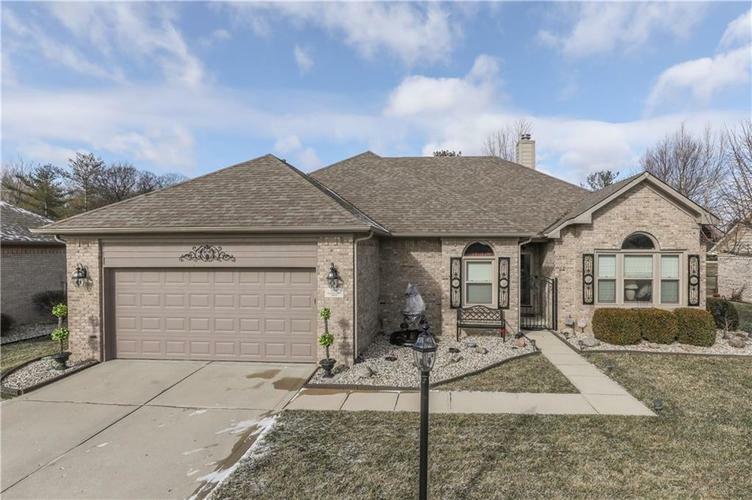 Home Displays Many Updates Including New Light Fixtures, Carpeting, Tile Flooring in Laundry Room, Windows, Custom Blinds, Fresh Paint Throughout, Epoxy Garage Floor & Heated & Cooled Sun-Room! The Curb Appeal on this House Matches the Updates Inside & Include New Mulch/Landscaping, Motorized Awning On Patio & New Shutters. This Home Has Been Completely Redone, Must See! Directions:From 135 and Stop 11 head West to Bluff Turn right on Bluff to Shannon Lakes entrance Turn right to Ballyshannon Turn right Home will be on your right.